Aluminum Trim – Johnson Bros. Roll Forming Co. However, the most common applications for aluminum trim is for use as exterior accents in homes and buildings, as door and window frames, or on porches and roofs. As a result, aluminum trim is utilized both on a structural and on a decorative level; thus additional aesthetic processing can occur after fabrication such as powder coating. Aluminum trim is often PVC coated, which provides protection and different color options. Trim used for decorative building construction often has different raised grains that have been stamped or engrained on the surface. A common example of this is the wood grain texture often seen on home trim accents. Trim made for the interior of cars is smaller and more detailed than trim in construction applications, and often has a surface texture or pattern. 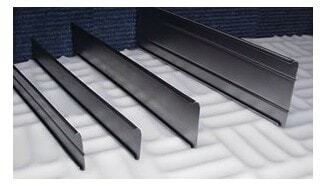 Aluminum trim is manufactured from through the extrusion process. In this process, metal shapes called billets are forced through a die by means of a ram. The die is a hollow profile that is used to form the thin, narrow, long trim shape of the metal as it is squeezed through. This process can be performed at room temperature, slightly above room temperature or at high temperatures: these three different methods are referred to as cold extrusion, warm extrusion and hot extrusion. 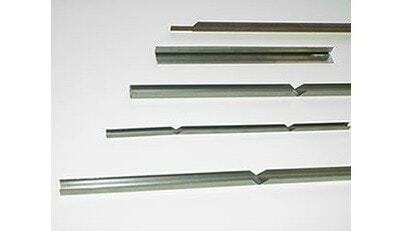 When it comes to aluminum trim, hot extrusion is the most commonly utilized extrusion method. Because weather resistance is important, the trim is often post-forming heat treated to increase strength and corrosion resistance properties. Aluminum Trim While aluminum trim finds use in the automotive, furniture, lighting and screen printing industries, it is most often found in both construction and engineering industries.As an example of a use outside construction and engineering, in the automotive industry aluminum trim is used to protect the back and side edges of truck and trailer bodies from chain wear and foot traffic.